Warning: This post is all about diapers. If that's not your thing, you might want to skip it. I promise there will be more craft and costume related posts coming soon. 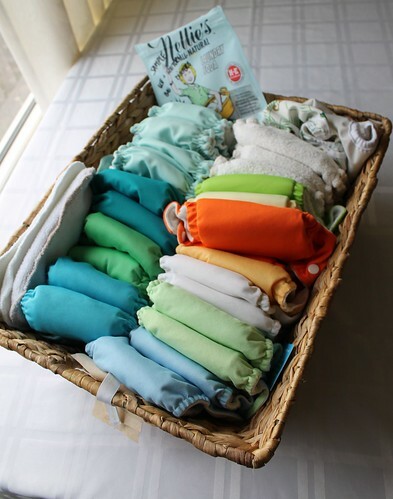 I was pretty sure I wanted to go the cloth diapering route since before I was pregnant, but Chris took some convincing. Fortunately, many of our friends have gone with cloth diapers and talking to them helped bring Chris over to my side. One of those awesome friends suggested that we look into renting newborn sized diapers. 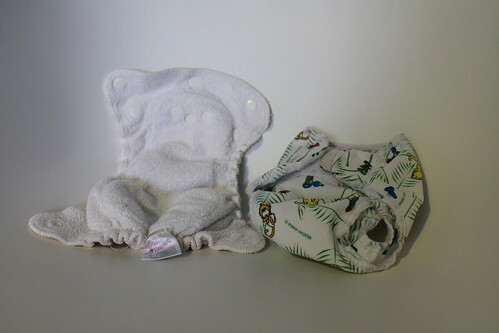 After some googling, I found a fantastic newborn diaper rental service in Whitehorse: Eco Cheeky. Isabel, who runs Eco Cheeky, was extremely helpful and I can't recomend her service enough! One of the best perks of renting newborn diapers is that you get the opportunity to test out different kinds of cloth diapers to figure out what you like best before buying your baby a full set. 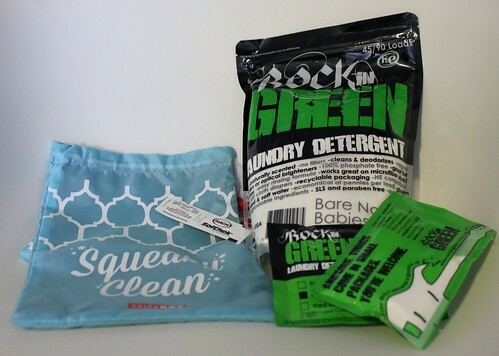 The package we got from Eco Cheeky had five different brands of diapers, each with their own benefits and drawbacks. We quickly learned that diapers that require covers are not for us. Removing a soaked diaper involves touching the wet cotton and that's gross. These diapers could soak up a surprisingly large amount and we didn't have any issues with leaks. You don't need to wash the covers as frequently (but we washed them after each use). The layout of the snaps makes changing the sizing more complicated than it should be. Touching wet diapers is icky. When we brought Axel home from the hospital he was under 5lbs and until he grew a bit, the GroVia diapers were the only cloth diapers that fit him. These diapers are very small which was great for our little premie. 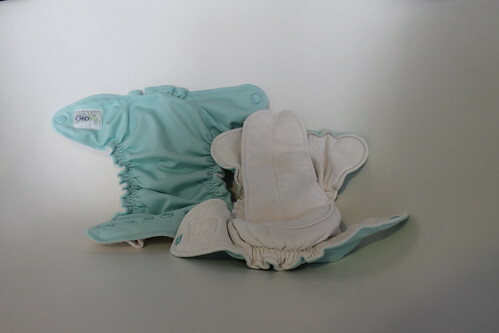 We really liked the All-In-One design with the tongue-like insert that is sewn into the diaper on one end. For whatever reason, the GroVias take twice as long to dry as any of the other diapers. After an hour in the dryer they'd still come out damp. By far the cutest cloth diapers we tried. If it weren't for the pocket inserts, these would be our favourites. Lots of fun colours and nice fabric. These diapers are adorable and well made. The snaps are easy to use and adjust, even with a wiggly baby. 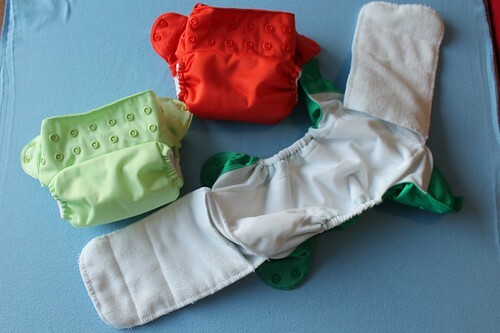 Stuffing pocket inserts into the diapers after they've been washed is really annoying. It might not be so bad for people with smaller hands, but it was a pain for Chris and me. Pulling out the insert before putting the diaper in the wash is sometimes really gross. These were the biggest of the newborn diapers that we tried and Axel had a lot of growing to do before he could wear them without leaks. 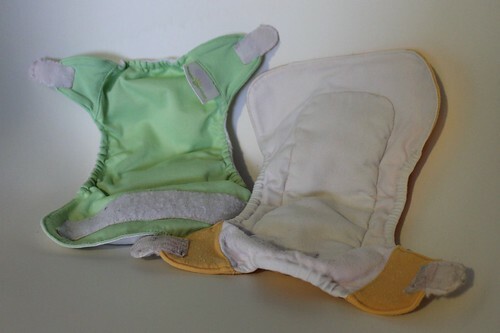 The lack of any detached insert made these diapers the easiest to use but we weren't fans of the velcro. So easy to clean! Since there's no insert to mess around with these diapers were a piece of cake to rinse off with the diaper sprayer. Super easy to put on a squirming baby. Velcro is terrible. Before throwing the diapers in the wash you have to make sure the velcro tabs are folded down (there's an extra strip to place them on) and even then they still get tangled up and caught on things. The velcro picks up lint and hair and looks terrible. These diapers seem to be trying to take all the best parts of the various diaper styles, but they don't really pull it off all that well. The coloured insides look like they'd be more resistant to staining than the white liners of all the other diapers. While it's nice that there is no detached insert to lose, stuffing the long tongue into the pocket after the wash is annoying and pulling it out before doing the laundry is sometimes gross. 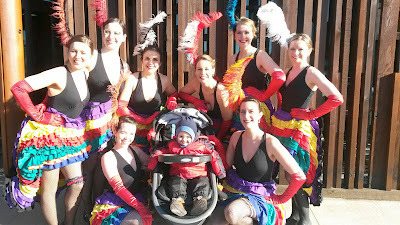 After trying all the diapers we had a pretty good idea of what we wanted for when Axel outgrew the newborn sizes. Conveniently, awesome local toy store Angellina's Boutique, just happened to throw a Cloth Diaper Party right when we were planning on ordering our diapers. The party was a lot of fun, we learned a bunch about how to care for cloth diapers and we got some great free samples and prizes. Even better, Angellina's also gave everyone at the event 10% off their entire purchase. With the discount we were able to order all of our diapers for cheaper than any of the deals we found online (and we were able to support a cool local business at the same time). We ended up ordering 16 Bumgenius Freetime Diapers and we're really happy with them so far. My only complaint so far is that the snaps are pretty stiff and a little tricky to open and close, but we think they'll get easier to use with time.